Plan work, keep track of progress, and ship products that customers really want! Create new sprints and backlog items with a fluid drag-and-drop planning center. 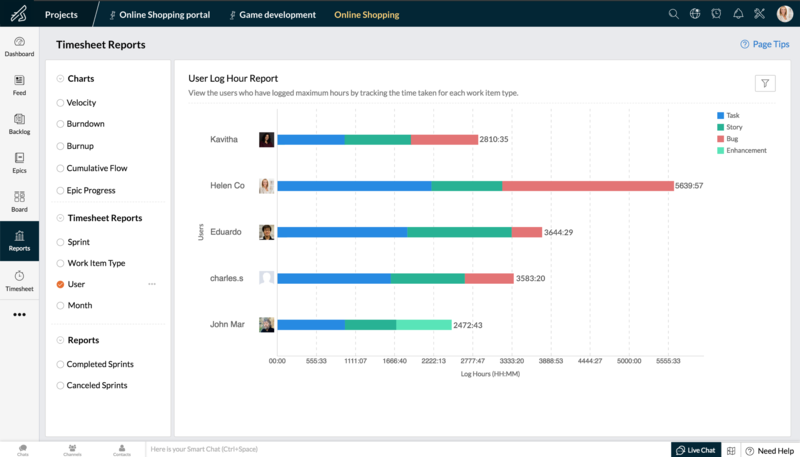 Break down the nuances of each user story through epics, estimation points, priority listing, and user assignments. 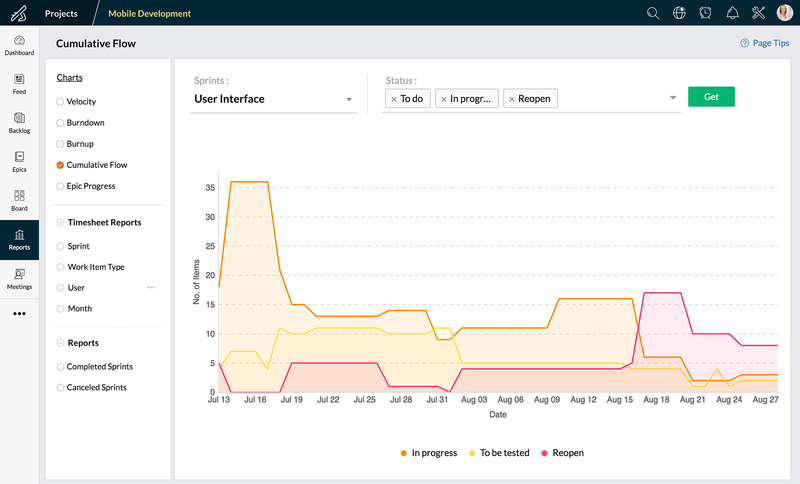 Set durations and timely reminders make releasing after every sprint that much easier. 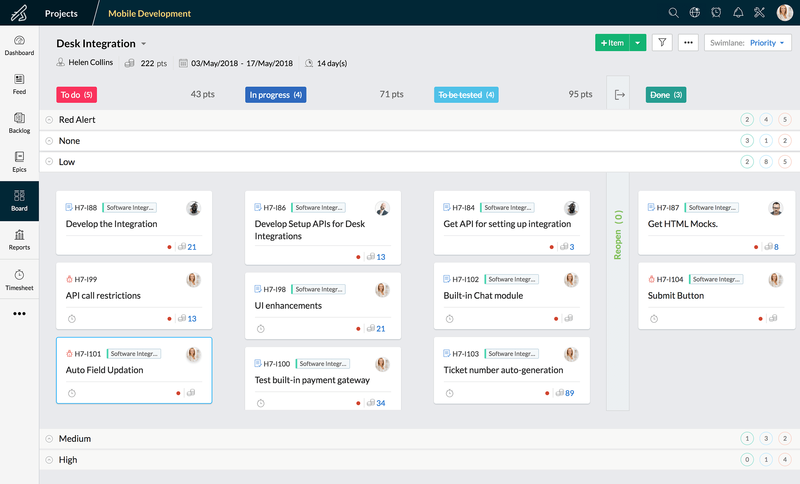 The Scrum Board lets you visualize all the work in every sprint, so everyone can see the progress for each task. 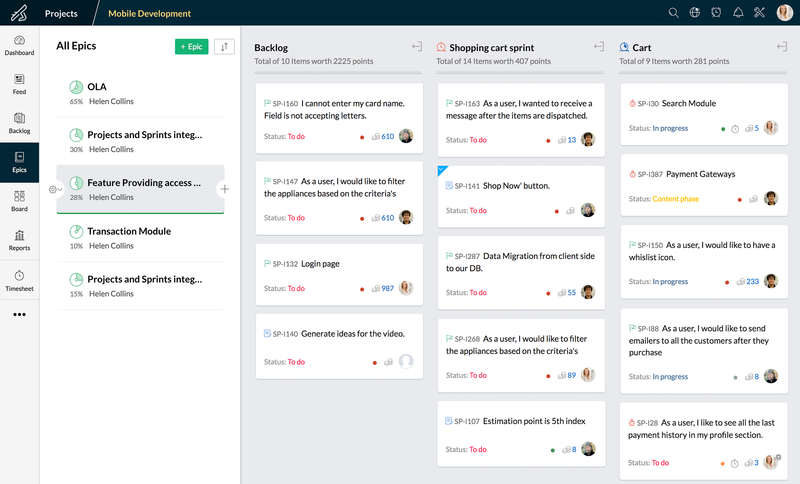 Easily drag and drop items, stories, and bugs through the different stages of completion. 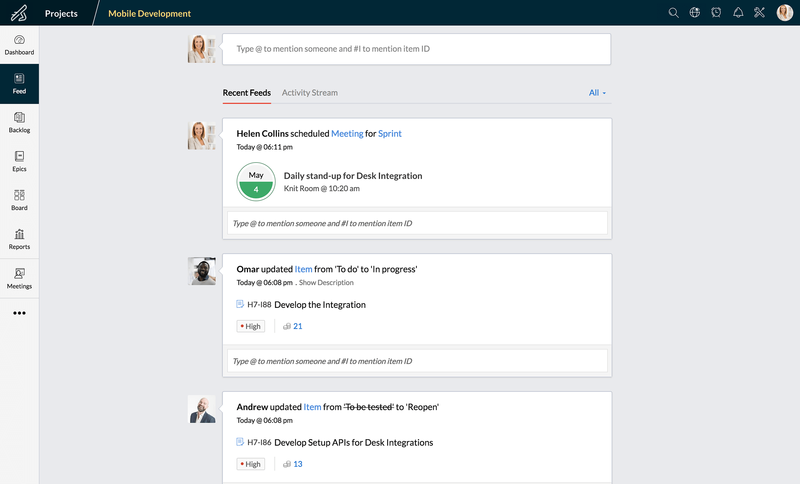 Customize work statuses and personalize your board. When your boards are agile, so is your work. 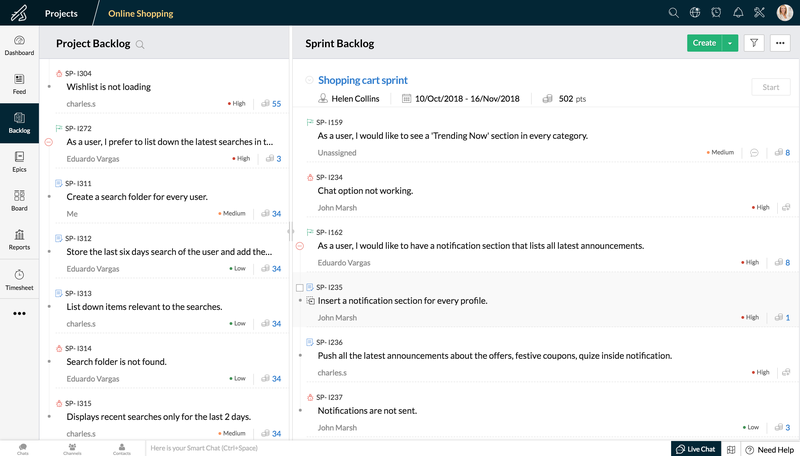 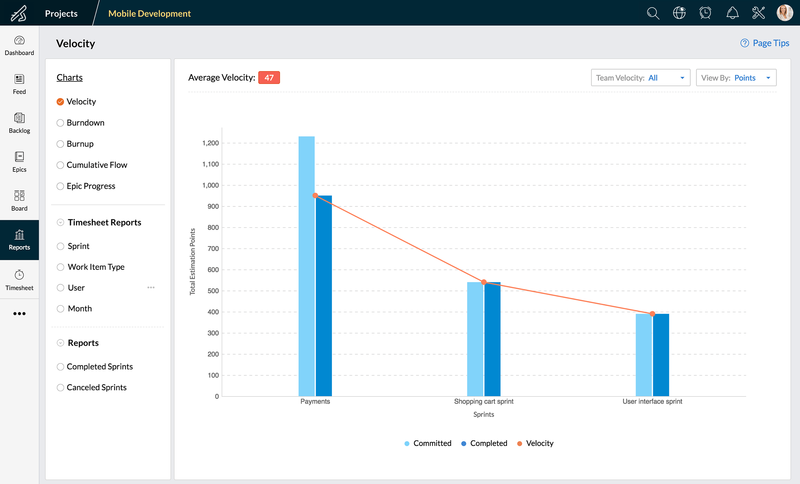 Epics help you organise work items across multiple sprints with a common objective. 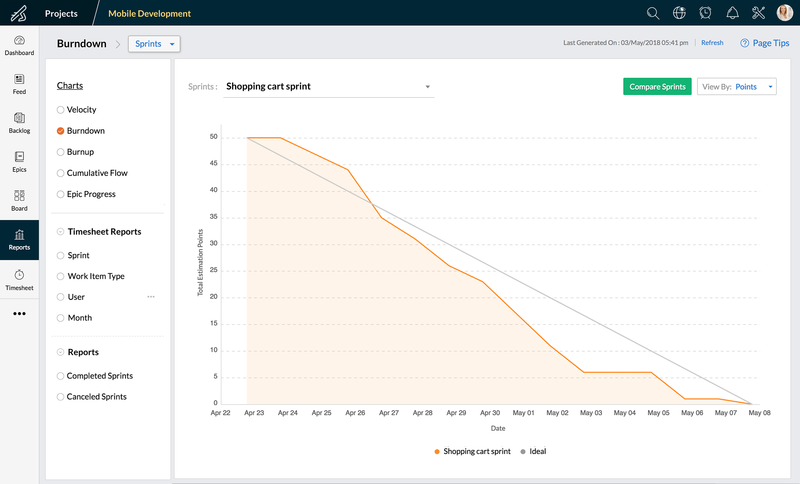 You can drag and drop work items across sprints within an epic and track the progress of all sprints according to their epics. 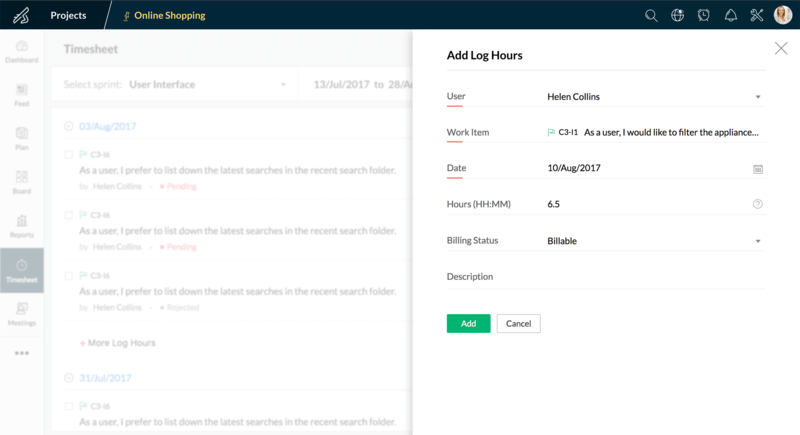 All users can log billable and non-billable hours for every work item with Timesheet. 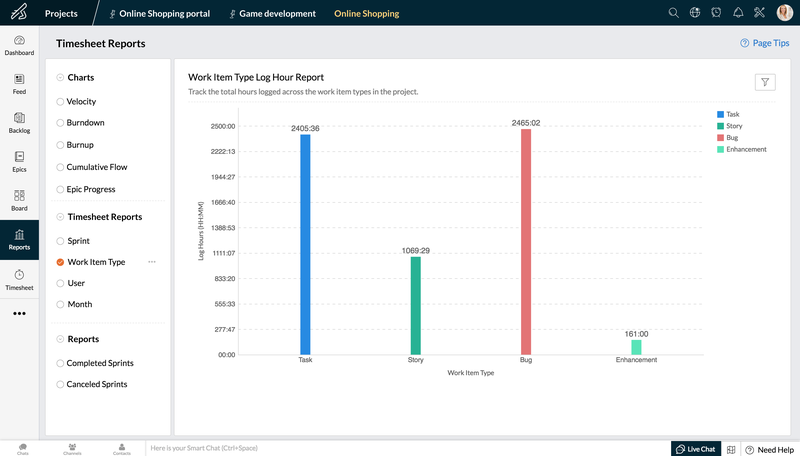 Precisely estimate the next sprint by tracking the time specific tasks take. 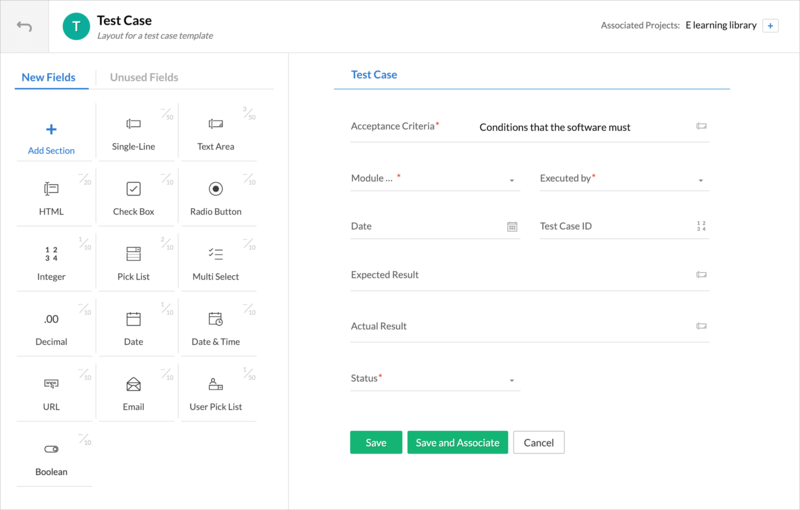 One-click approval and transparent user time sheets help you cut through the red tape. 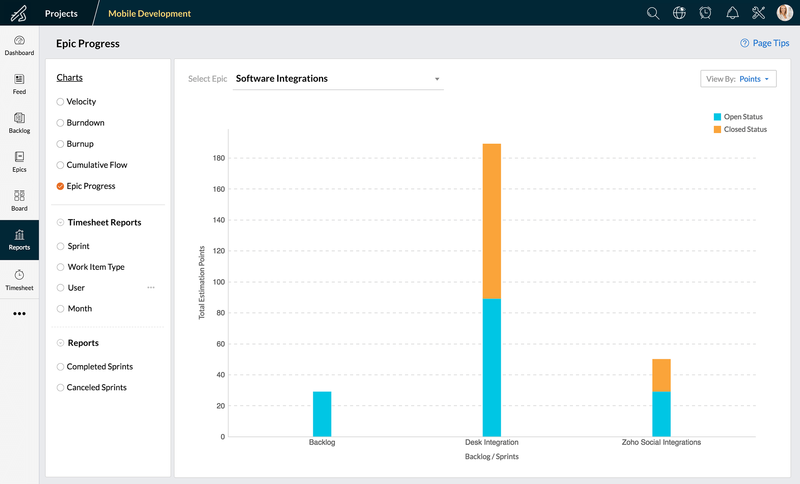 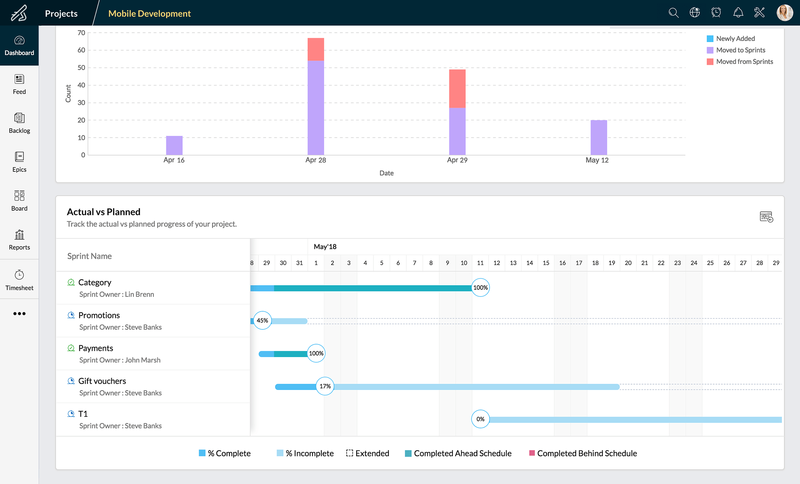 Use the Dashboard to view completion status, see the top five users for both closed and open work items, and get a comprehensive sprint activity chart, among other things. 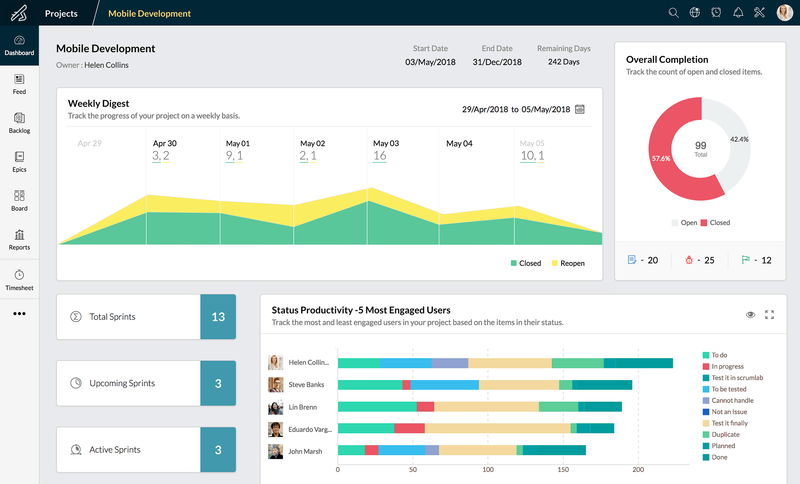 Be prepared for daily stand-ups when all your key metrics for every sprint are at your fingertips. 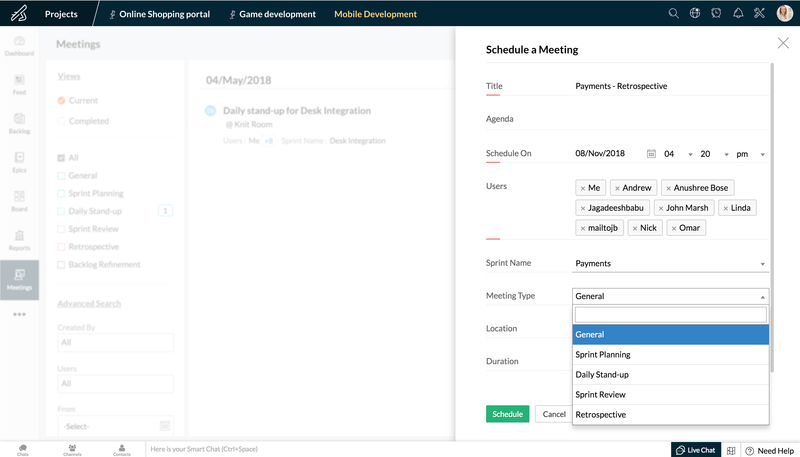 The comprehensive Meetings module lets you schedule sprint reviews, retrospectives, and automate daily stand-up reminders. 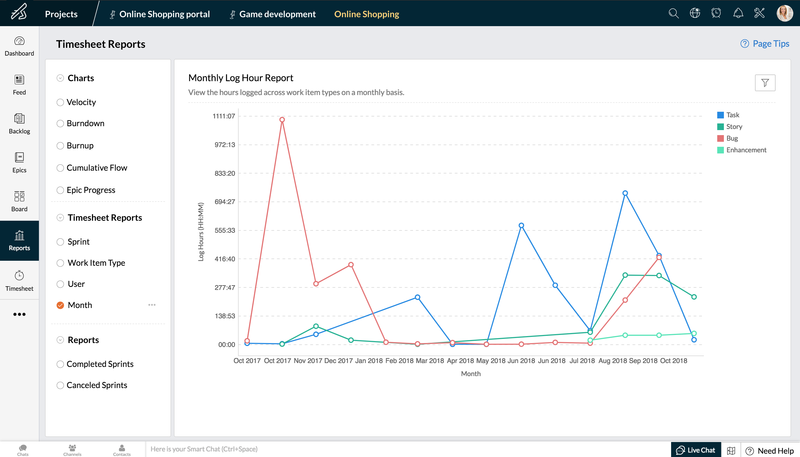 Post statuses and comments on the feed to take discussions online. 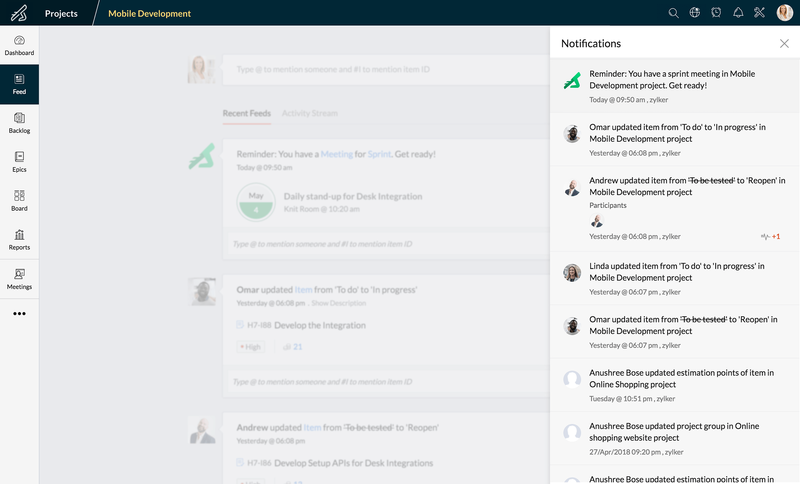 This lets people say things at a convenient time and makes distributed teams feel closer. 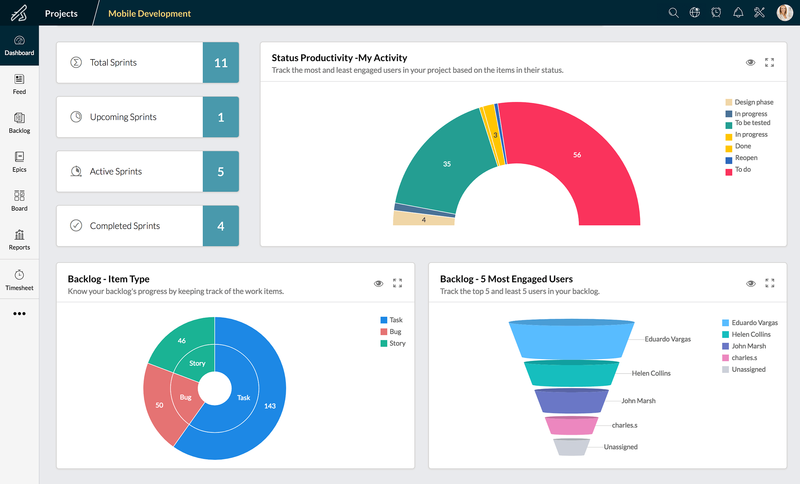 Tailor your projects to fit your team's needs and give it the necessary context.